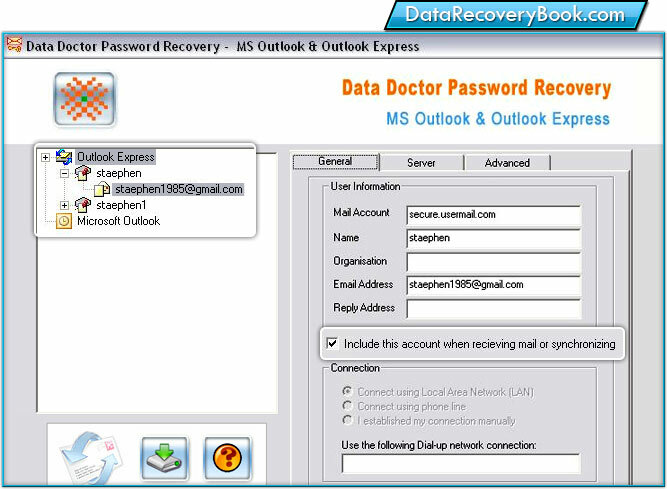 Outlook and Outlook Express Password Recovery Software offers easy, reliable and timesaving task to recover all missing or forgotten multi email account saved passwords configured on Microsoft Office Outlook and Outlook Express. Powerful password salvager program undelete and displays user logins and passwords for all e-mail and newsgroup accounts stored by popular Microsoft Office Outlook and Outlook Express email programs. Password recovery software provides full detail of server information records including Incoming/ Outgoing mail server, Incoming mail server account name and password, Outgoing mail server account name and password, Server port number etc. Software provides an easy rescue of passwords for various renowned Email services like Yahoomail, Gmail, Hotmail, Rediffmail etc. Software is easy to use, least expensive and have rich features as compare to other password recovery programs. MS Outlook password restoration utility is specifically designed application for all users using multiple email accounts and often faces password-missing problems. Program has simple user interface with self-data extracting feature, thus no technical skills or training needed to work with software. Recover all lost or forgotten passwords saved on Email, Newsgroup account in few mouse clicks configured on MS Outlook and Outlook Express. Easily retrieve the lost multi-user identity passwords. Display entire e-mail address details including Server address, Server type, Account login and password for all incoming and outgoing mail server of Office Outlook and Outlook Express. 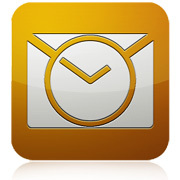 Support all major versions of Outlook Express and Microsoft Office Outlook mail server. Full support to recover passwords for prominent email services like Rediffmail, Yahoomail, Gmail, AIM mail, GMX mail, Hotmail, Zenbe, Zapak mail, My Way mail and many more. Safe and easy to use password recovery utility shows recovered password list in short time. Profitable program for IT professionals and businesspersons who uses multi-email accounts configured on Outlook Express and Microsoft Office Outlook.